Well folks, I'm late again, but I can't blame baseball this time; despite the fact that the Boston Red Sox won the 2013 World Series! The reason this time though, is two fold. 01. I realized there was no point in posting a progress report before the week was completely through, so these weekly progress reports for my fans and readership will now be aimed for Sunday posting. 02. But I missed doing it this Sunday because my parents celebrated their 56th wedding anniversary, so I did my best to attend via telephone because we live in different states. With that said, my last short story for this year is in the capable hands of my writing buddy and friendly neighborhood proof/beta reader Nancy Hansen, which is only fair since I am still reviewing her latest manuscript for bugs and other glitches. Meanwhile, I am back to work on the manuscript for ALPHA, BOOK 2: WAYWARD SON; as the fledgling superhero tries to find his place in the universe following events of book 1: PROJECT ALPHA. When Nancy sends me back that short story for review, I will have to pause my Alpha work to put on my editor's hat and go over that, before finishing the prep work for Pro Se Presents issue 21, which is now scheduled for an early 2014 release since issue 20 will not be out until later this November. Not sure what happened to cause the delay, but life is what happens while you're busy making other plans. All this, plus Thanksgiving and Christmas are coming up as a new year begins to appear on the horizon. In all honesty, with the winter months upon us, I'd rather stay inside at the keyboard where it's warm. Have to get back to work now, so see you around the Internet! 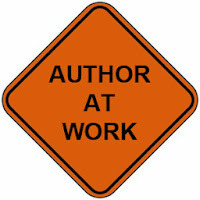 And remember, besides here, I can also be reached through Facebook, Google +, my Amazon Author's Page, and in my capacity as Editor-In-Chief of The Free Choice E-zine.